Happy Friday, Friends! 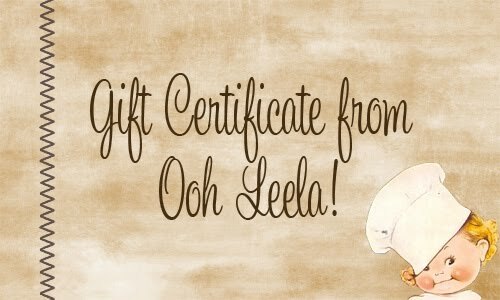 My lovely sponsor, Isabela from Ooh Leela, has a giveaway for you! When Isabela's not accounting for things (her day job! ), she loves crafting, and has a little Etsy shop where she sells the kitchenware that she sews up. Today, she's offering a $10 gift certificate to her shop. To enter to win, go Like her page on Facebook, then come back and leave a comment. We'll leave the giveaway open until Monday at noon, when I'll choose a random winner. My goodness! What a great find. Thanks for sharing. Love it (and liked it on FB)! Thank you! I "liked" her on FB as Layne Sweatman Perkins. "liked" her page on fb. super cute!